This is where we put our art to work! 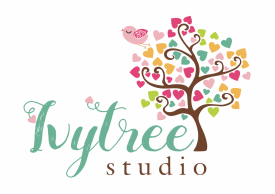 Ivytree Elements is the home of seriously pretty design for your memory-keeping and more. We aim to deliver artful designs that not only showcase our unique approach and talents but also bring even more diversity to the creative industries locally and internationally. How about some pretty paper? We just love love love paper! Always have and always will. We have collected it just for the sake of it and as we grew up, we also discovered we could create with it. We have played around with paper since forever and we would like to keep on playing with it. It just makes us so happy. So, we would like to inspire you to do pretty things with our pretty paper as much as you can for as long as you can! The process of creativity is such a stress buster and it has been for a long long time. The therapeutic value of art cannot be underestimated in our very rushed and busy lives, so we invite you to frequently come and visit our studio here to see what's new. To encourage others is a passion we have and it will reflect in our designs.